Introducing AdWerx Promote Your Brand. “Always on” marketing that promotes your brand online 24×7 while you sleep. 1. Be consistent in your brand messaging. Consistency breeds trust and we all like to do business with those that we trust. In fact, in a recent NAR study, trust was among the important factors in deciding to work with an agent. 2. Your strategy must be adaptable and embrace technology. More than ever, consumers are using the Internet to search for properties before making contact with a real estate agent. You need to be everywhere buyers and sellers are…not just on Zillow, Trulia and Realtor.com. 78% of searchers go to 3+ sites during the real estate search process. 3. Don’t throw away traditional branding strategies that work for you. If offline marketing works for you, continue it as an element of your overall marketing plan. Make sure that you think of traditional approaches as part of your 360 marketing strategy to be everywhere that your prospective client might be. 1. Strengthen your brand…customizable ads bring consistency to your online presence. 2. Find people anywhere they go online…we’ll make you look like a tech guru! Advertise beyond the big three – Zillow, Trulia and Realtor.com. Reach buyers & sellers away from the clutter of competitors. “Follow” prospects as they browse online through AdWerx advanced technology. 3. 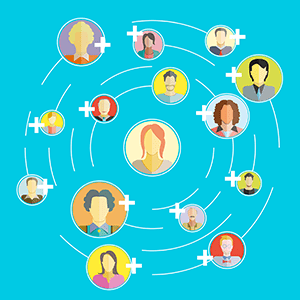 Engage a local audience…just like you’re used to with traditional branding strategies. Target up to five zip codes. 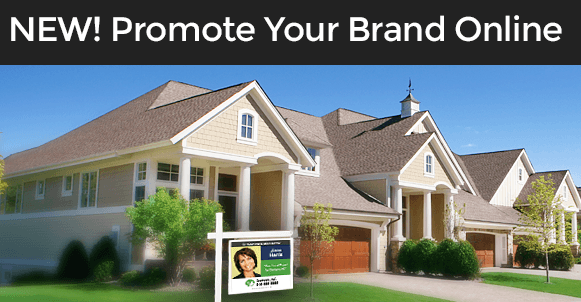 Promote your brand in your current territory. That’s enough talk! Why not give Promote Your Brand a try on us?